EXPANDS KITCHEN SPACE : Dual colored, beautiful and a practical addition to large, medium and small kitchens made of premium grain bamboo wood that can be used as a traditional cutting board on kitchen counters or placed over gas or electric stovetops to maximize mincing, dicing, chopping space or simply to hold extra items in your kitchen area. 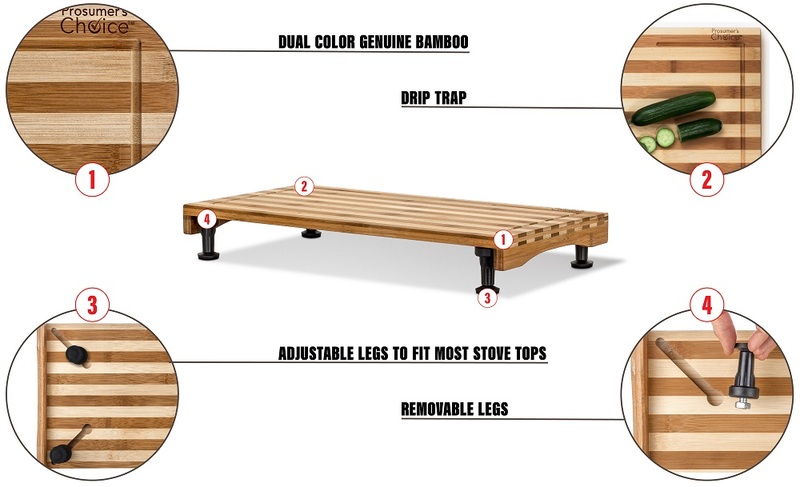 ECO-FRIENDLY BAMBOO : Made of naturally beautiful bamboo certified by the FSC (Forest Stewardship Council) that its construction is made from 100% premium quality and natural bamboo that has been collected and harvested according to forestry standards from sustainably and responsibly managed plantations that support healthy eco systems. This product is manufactured in a facility certified as socially responsible by the Business Social Compliance Initiative (BSCI). 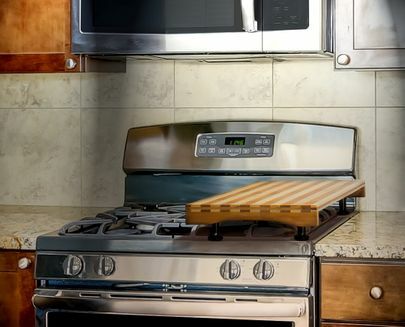 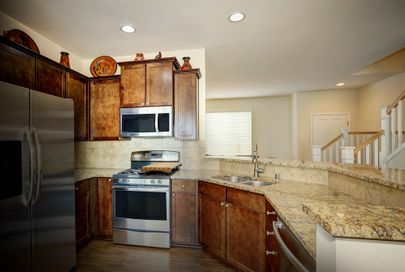 ELEVATED TO SAVE SPACE : A large wooden cutting board with ample room to chop and separate vegetables, meats and spices that fits easily over gas or electric ovens with size adjustable & removable feet that help avoid goopy messes and maximize cooking areas so chefs can use the chopping block on the stove, counter or kitchen table. BEAUTIFUL AND STURDY WORKSPACE : Easy-to-clean cutting board with no added dyes or chemicals that is gentler on knife blades and less prone to scarring than plastic cutting boards that look ugly and worn quickly, this beautiful end grain bamboo cutting board includes a unique wood pattern and a natural color contrast that gives ordinary kitchens a high-end feel and is also elegant enough to be used as an hors d'oeuvres or cheese tray. 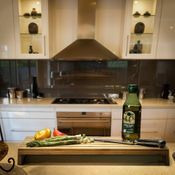 Prosumer's Choice Stovetop/Countertop Bamboo Cutting Board with Removable Bases and Juice Trap is the ideal kitchen accessory for large, medium and particularly small kitchens where finding a place to mince, dice and chop can be frustrating. 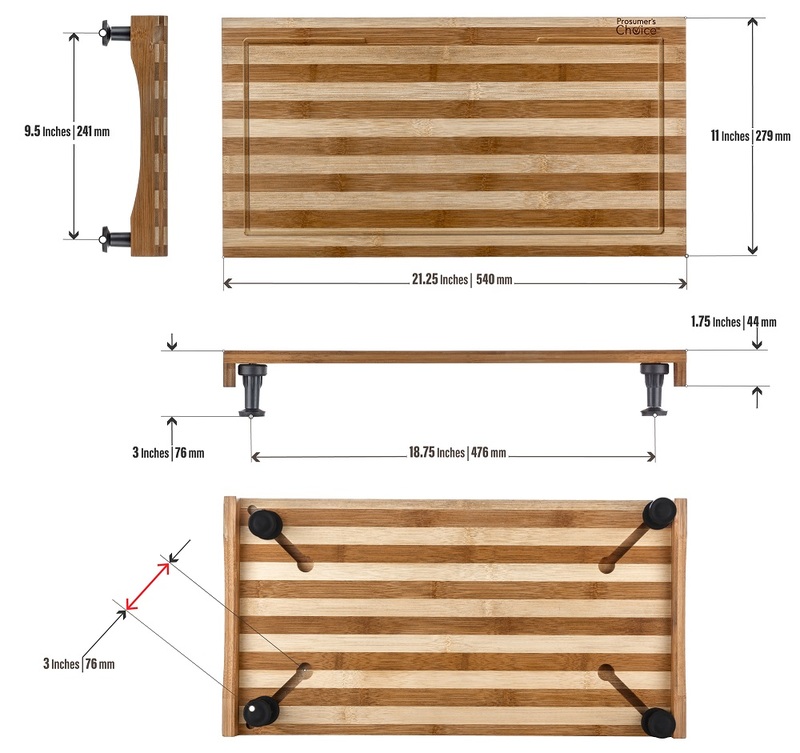 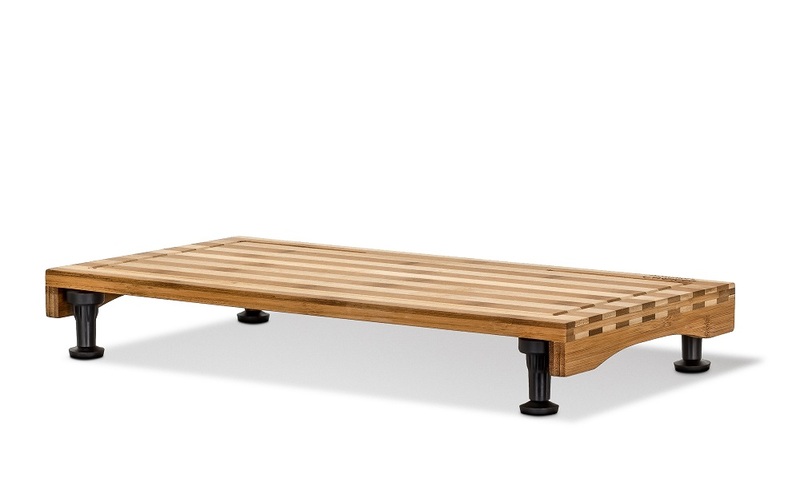 Made of beautiful end grain bamboo that is sturdy but forgiving on expensive blades, this space-saving chopping block can be a countertop cutting tray or use the removable feet to place it over a gas or electric oven to maximize cooking areas in kitchens where counterspace is at a premium. 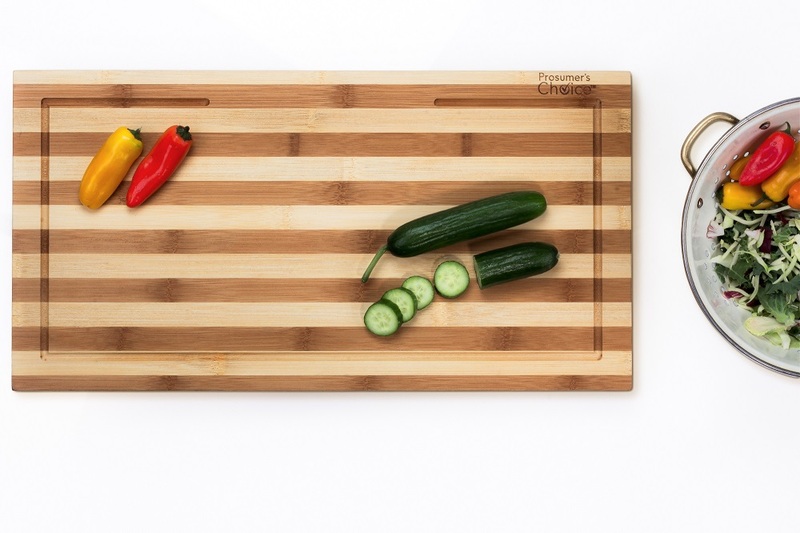 Made of naturally beautiful bamboo classified as a rapidly renewable wood or timber source and responsibly harvested to help support healthy eco systems, this quick-to-clean stovetop cutting board includes easy-grip handles to transport from counter to stove to tabletop and is less prone to scarring than plastic cutting boards that can trap bacteria and look worn quickly. The beautiful bamboo end grain design adds an elegant, high-end look to even ordinary kitchens and will last for years of recipes to come.